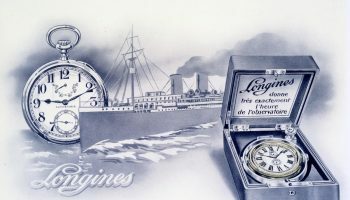 Longines has always associated its name with the prestigious exploits of pioneers who sought to push the boundaries of performance ever further, and in particular in the discoveries of underwater environments. 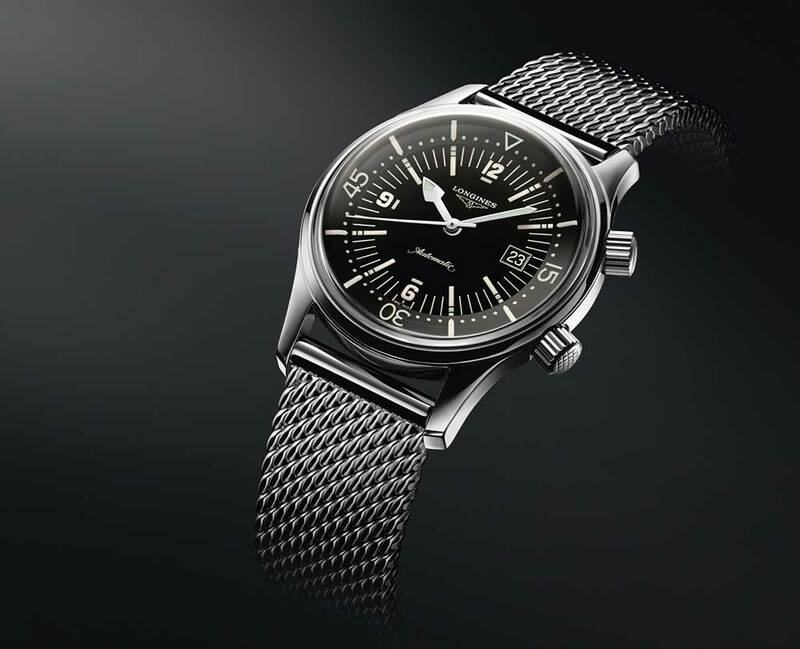 A reissue of a diving watch from 1960, produced at a time when underwater exploration and military and sports diving flourished, the Longines Legend Diver Watch looks back to the bold style that made the original watch so successful. 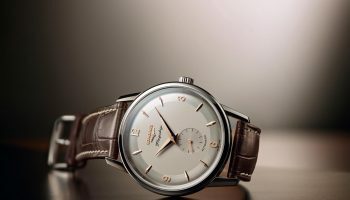 The lines of the original watch are repeated, including the domed crystal, reminiscent of the technical limitations of the time. 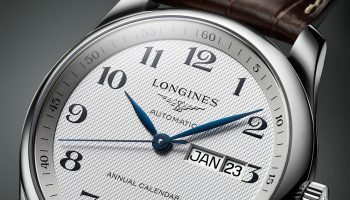 But while preserving the sixties spirit of this legendary timepiece, Longines has given this piece contemporary and performance-oriented technical features: a sapphire crystal, and screwed crown and back to guarantee a water-resistance rating of 300 m, or even an internal bidirectional rotating disc for divers. 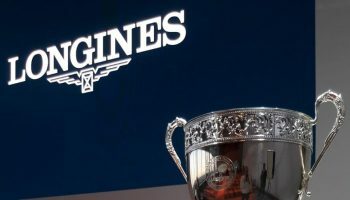 The latter – the flange – is activated and locked by one of the crowns, thus making it possible to determine the remaining bottom time. 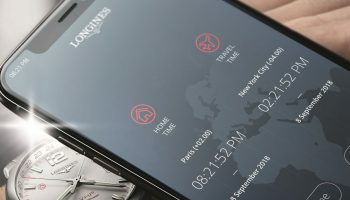 The indexes, digits and hands, covered with Super-LumiNova®, stand out against the black lacquered dial to offer optimum readability, further sharpened by the simple and clear typography of the 3, 6, 9 and 12 digits. 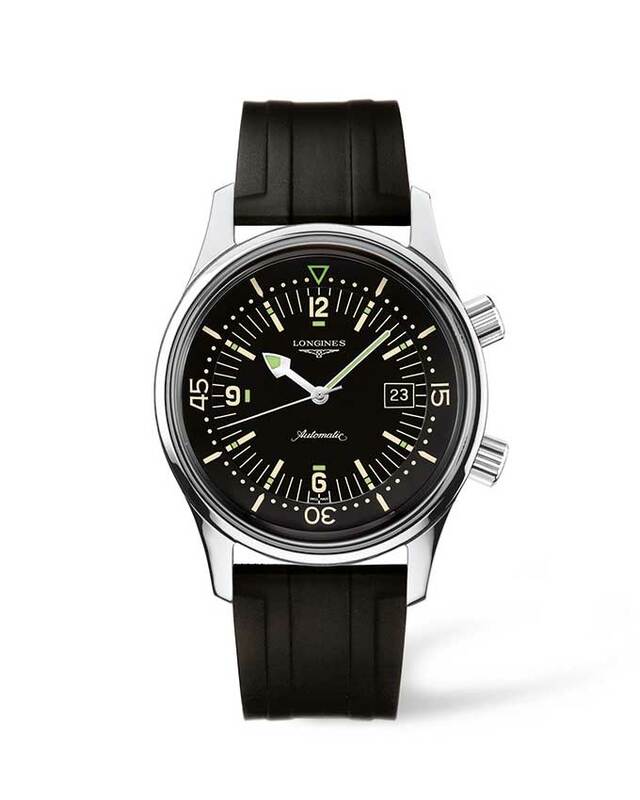 The 42-mm stainless steel box houses an L633 automatic mechanical movement and sports an engraving of a diver on its screwed back. 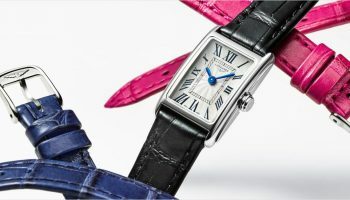 This piece is available in either a rubber, cowhide or new Milanese watch strap, so it can be worn for any occasion.